Getting the right items is important - Monetarily too. Can you help in a monetary way so we can purchase good items for the community? Here is a simple way you can contribute to your area neighborhood. With a simple cash donation, we can help continue to provide for area families. Below are some predetermined amounts in helpful increments. PayPal and Credit cards are accepted at checkout. 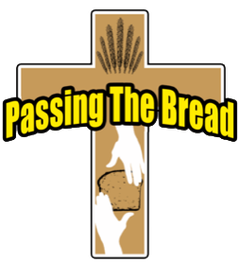 You can also donate from PayPal directly to our email address of donate@passingthebread.com. An "Absolutely Amazing" donation by you! Yup YOU! Seems fitting to say "Thank You" twice. So…"Thank You #2"
Whoa! You have made a difference with this amount. Thank You for Passing the Bread. If we could bottle and give away what you are made of this world would be a better place. Thank You! "Rock Star" are the words that come to mind when describing you! Thank You for Passing the Bread. You are amazing! Thanks for helping to continue Passing the Bread in this donation amount! Awesome & wonderful! This will go along way to help continue Passing the Bread. Thank you. for Passing the Bread Food Distribution." who supports this effort to care for others in this way." We can not continue our mission without your support and willingness to help us in many ways. We greatly appreciate your help through your donations in money, food, time, and prayer. Do you have a donation that needs to be picked up? If you have large donation that needs to be picked up, please contact us and we will be happy to pick it up! You may also drop it off the morning of a distribution after 8:00a.m. See our participate page. Else, please drop off at Johnson's Hardware Hank on Fremont Avenue in Zimmerman.